Beautiful Rose Bushes with a wide array of colors, flower forms and sizes, along with recurrent blooms that are also hardy and pest & disease resistant now available at Nature Hills Nursery. The new Easy Elegance® rose collection, produced by Bailey Nurseries and offered by Nature Hills Nursery, offers modern gardens and gardeners all the traditional rose bush benefits without the painstaking care. The Easy Elegance rose varieties offer a wide array of colors, recurrent blooms, a selection of flower forms and a choice of plant sizes. These new roses also grow to be only two to three feet tall, making them perfect for smaller gardens and even container culture. Add in hardiness, pest and disease resistance, and you have a gardener’s dream come true. Easy Elegance roses are tough for another important reason – they grow on their own roots, compared to the majority of commercially grown roses over the last four decades that have been grafted. 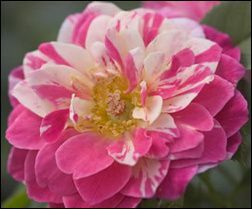 Own root roses are very resilient once established, are not subject to root suckers, and will produce the same quality blooms when subjected to extremely cold winters. 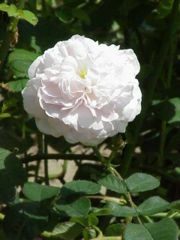 Nature Hills Nursery is offering the entire line of Easy Elegance roses that were bred by Bailey Nurseries’ fabled hybridizer and rosarian Ping Lim. Like all rose breeders, Lim looked for beauty when making the complex crosses required to produce superior plants, but he also bred the plants for toughness. “I am so excited that the complete line of Easy Elegance roses are NOW available at Nature Hills Nursery” Ping Lim, Master Hybridizer, Bailey Nurseries Inc.
A few highlighted varieties of the Easy Elegance rose line offered by Nature Hills Nursery include ‘Great Wall’™, a semi-double variety with warm pink blossoms and a cluster of bright golden stamens, ‘ Macy’s Pride ®’™, which was chosen by the department store chain to commemorate its centennial, opens its pale yellow buds to reveal creamy white, many-petaled flowers that acquire a trace of pink as they age, and ‘Grandma’s Blessing’™, named after Margaret Bailey, the grandmother of the Bailey Nurseries’ family, which features old-fashioned blossoms of dusty pink–perfect for romantic bouquets. 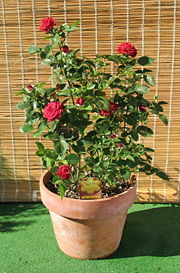 The complete line of Easy Elegance roses is now available in various pot sizes on-line at Nature Hills Nursery. Founded in 2002 in Omaha, Nebraska, Nature Hills Nursery, Inc. started out as a small on-line retailer selling 13 tree species to gardening consumers. Since then, the company has experienced rapid growth and now offers its nationwide customers thousands of products, including trees, fruit trees, shrubs, plants, flower bulbs, seeds, gardening products & more on NatureHills.com. Initially starting in a home office, the company now utilizes 2 growing and distribution centers in addition to its corporate office. Headquartered in St. Paul, Minnesota, Bailey Nurseries was founded in 1905 by John Vincent Bailey, in the homestead that houses the company’s main offices today. Still a family owned business, the fourth generation of the Bailey family is actively involved in all facets of nursery’s daily operations. Today, Bailey’s has 5000 acres of growing ranges located in areas around St. Paul, Minnesota, Oregon and Washington and produces a complete line of nursery stock that includes deciduous trees and shrubs, evergreens, fruits, vines, perennials, annuals and roses.